Click on the product links below for more information. 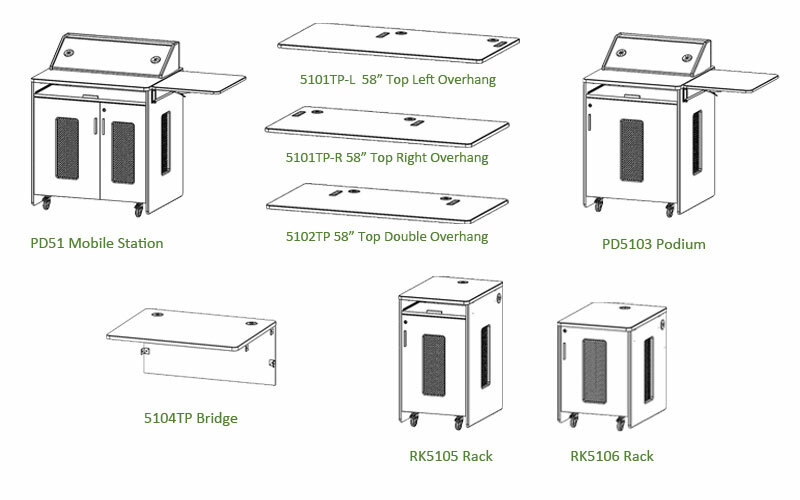 The PD51 Series Podium and Rack Mobile Modular brings modern look and feel to educational and corporate training sites. Made with highly resistant thermowrap finish and designed for easy installation and flexible enough to arrange according to the choice and room spacing. Note: Some new products require longer lead times. Call a Sales rep. for current lead times for these products.